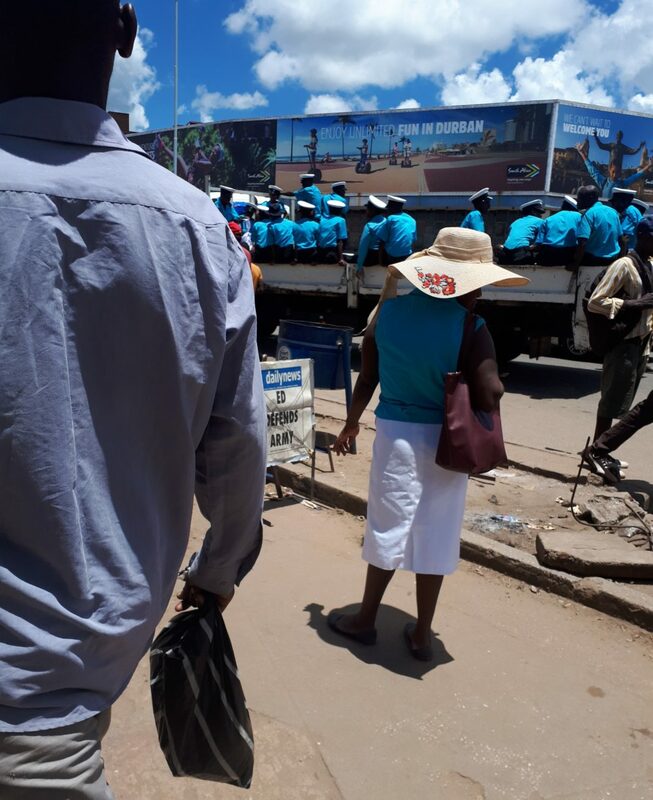 A Harare woman who was in a shop along Bank street was mistaken for a vendor by the council police who dragged her into their truck in a blitz targeting vendors. Zimeye reports that she was busy shopping, unaware that a council vehicle was present when one of the municipal officers dragged her from the shop to the vehicle accusing her of vending and hiding her wares inside the shop. She tried to explain that she was on a shopping spree and even showed the council police officer a list of items she was buying but the officer would hear none of it.